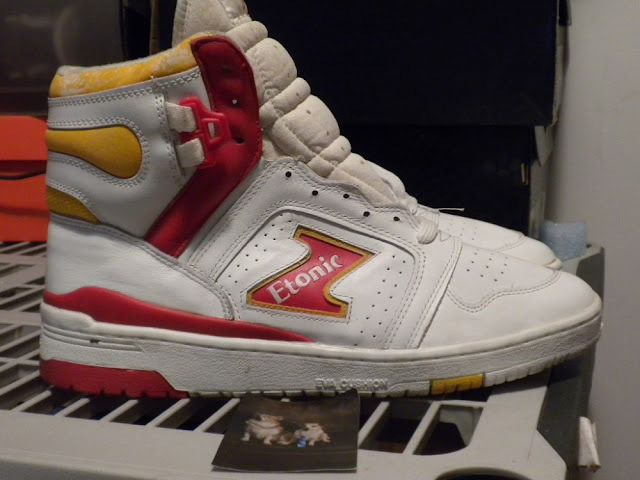 Akeem the Dream Sneakers "The Dream Supreme" by forgotten sneaker brand Etonic, circa 1987. Watching Team USA defeat France at the 2012 Olympics today got me rememiscing about the basketball greats of my childhood. 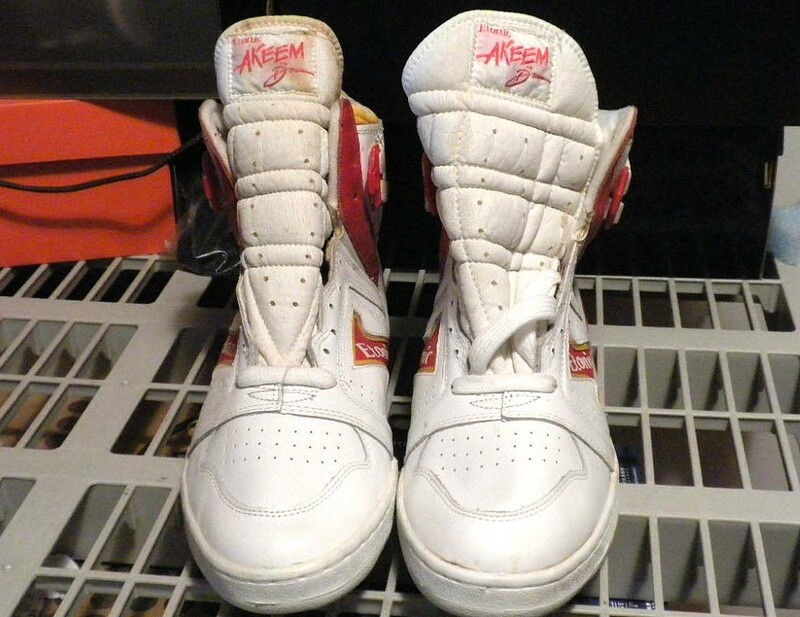 I remember NBA center, Hakeem Olajuwon and how I begged my mom for a pair of red and yellow "Akeem the Dream" sneakers. Yes people. Before there were Jordans, Etonic made a dope kick for Akeem. They were not expensive, marketed with a similar business model as Stephon Marbury's Starbury sneakers. 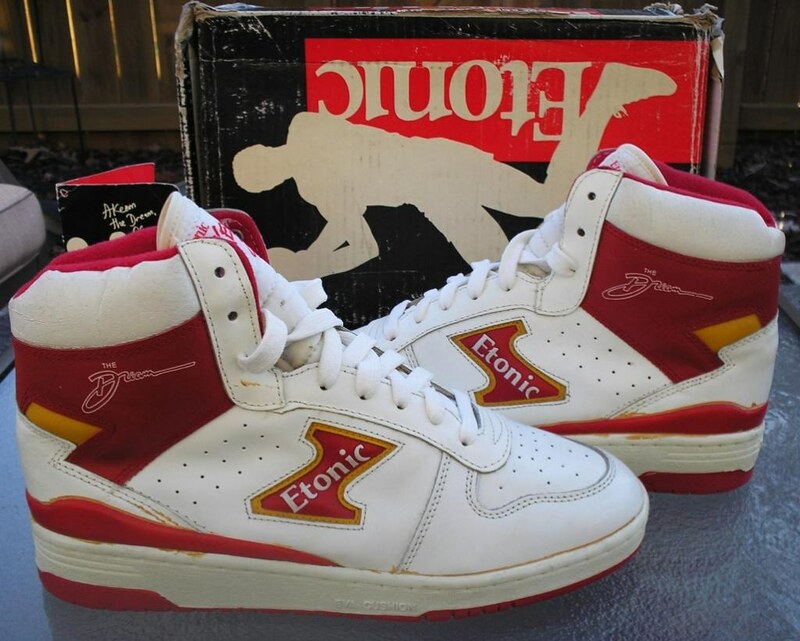 Akeem signed with Etonic instead of a large sneaker company because he didn't want poor inner city kids paying a lot of money for and possibly getting killed for basketball shoes. I bought a latest style of wedge shoes in women size latetly, great footwear to match my outfit.